The eyes can be made to look younger than when the skin sinks in. 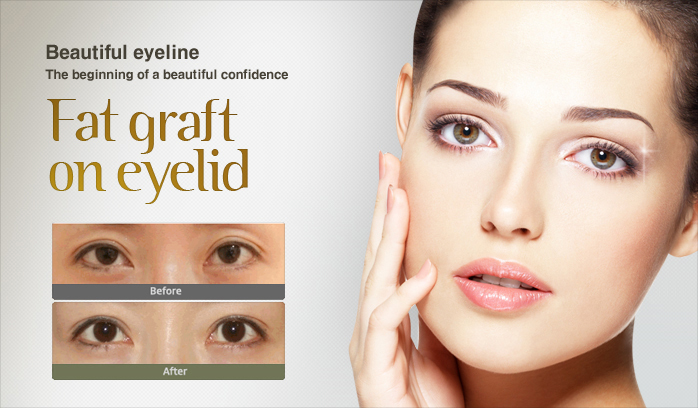 For a double eyelid that looks too wide, it can be shortened with fat graft for a more natural look. For eyelids that do not have enough fat, it is uncomfortable to open the eyes and they feel more tired. A fat injection can significantly improve this. The fat injection of the eye is needed for more refined-looking eyes. Although the longevity of the effects of fat transplants differ throughout the body, it is very effective around the eyes. Therefore, microscopic transplanting around the eyes can make a permanent effect with only one operation. However, a second operation is quite common and it can often give customers more satisfaction. Probably all women would like to look younger. Especially when the eyelids or the tails of eyes a hang down and have many wrinkles, it is hard to avoid hearing that you have aged from your peers. With age, double eyelids become looser or become smaller and eyelids may hang down, sometimes even causing eyelashes to prickle the eyes. 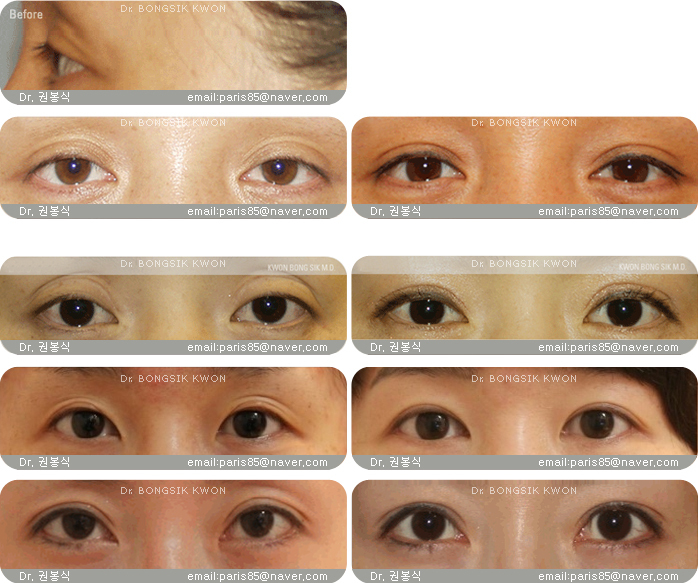 In this case, a double eyelid has to be shaped again by excising tissues that cause it to hang down. Especially with women in their late 30s, aging comes from the upper eyelid. When the skin of the upper eyelid hangs down and covers the pupil, it looks unattractive. It is common for aged people to have difficulty in opening their eyes because the skin hangs down and it becomes worse with age, which can cause the vision to be distorted.